I can’t believe I bought this pen four years ago. It feels like just yesterday when I was waiting for the mail to come, rushing downstairs, and opening up the package directly from Japan. I purchased the pen in January of 2013 for around $280. This one has a fine nib, which is quite fine. It features all black everything. The pen is still in my collection, but how much does it get used, how is it holding up over the years, and would I buy it again? Read on to find out! 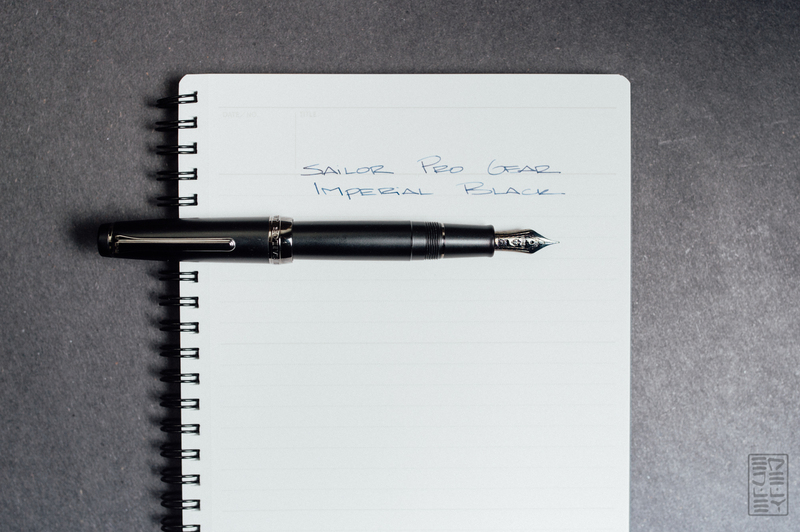 The Sailor Pro Gear Imperial Black is a great looking pen. 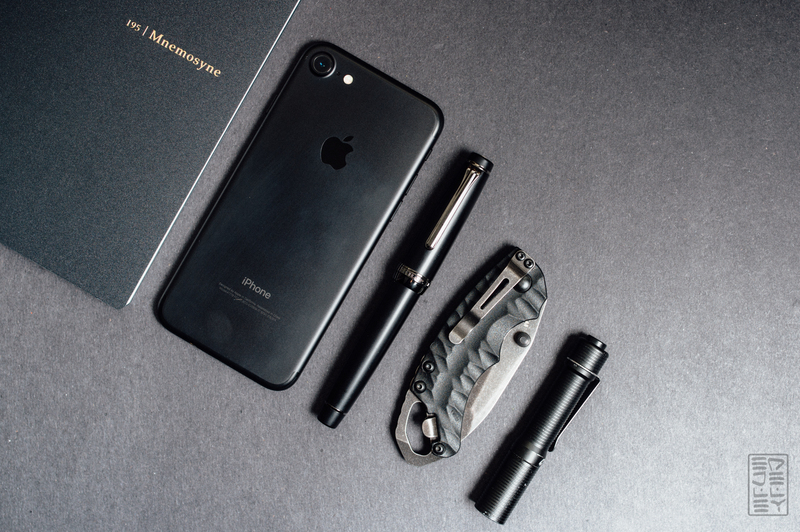 Matte black resin (plastic) accented with dark ruthenium-plated metal is a super clean look. 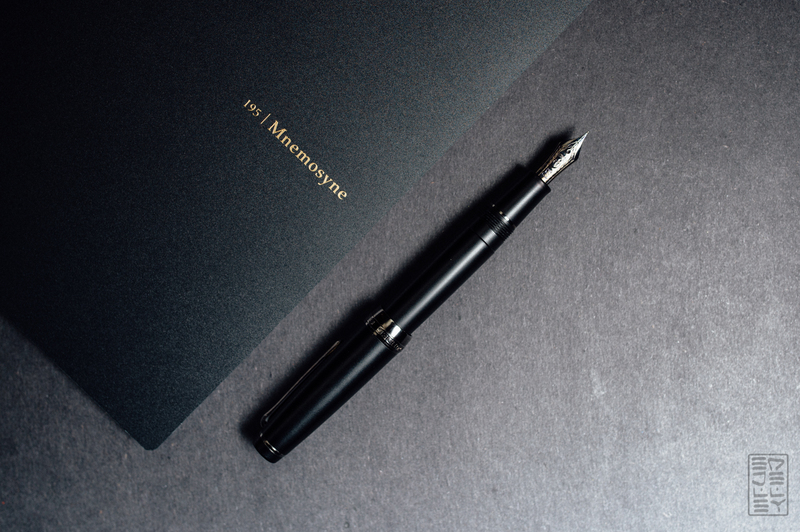 The contrast of matte and shiny accents result in a visually interesting pen, while maintaining a high level of blackness. Over the years, the pen has held up just fine. I haven’t done any extensive pocket carrying so there are few dings and scratches on the barrel. The plating is still looking like it did when new. Overall, it looks pretty much like it did when it was new. 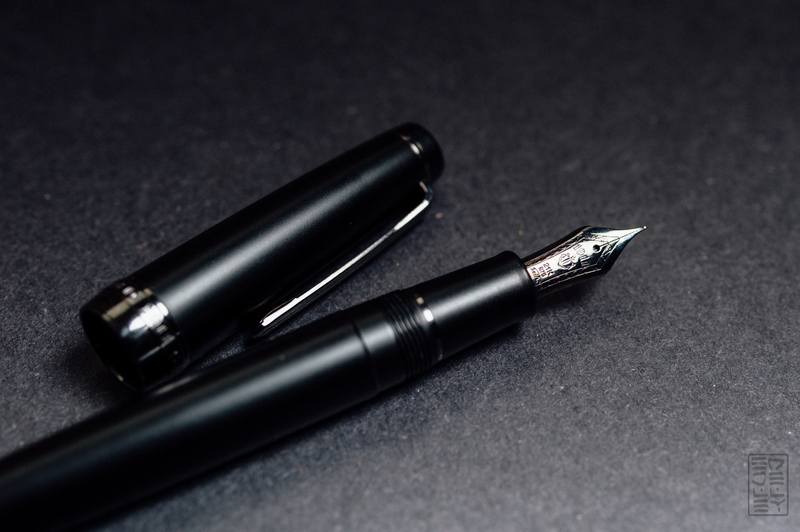 Sailor nibs are known to give feedback, and the fine nib on this pen was no exception. Since getting the pen, I’ve had some nib work done. Richard Binder tuned it up at one of the Long Island pen shows to smooth it out just a little bit and increase the ink flow. The nib does write a good bit wetter, and just a little smoother. Japanese fine nibs are rarely going to be glassy smooth, but it’s one step closer at least. I do find that I really liked this pen in college for notes, but my tastes have changed. I use my fountain pens now more so for enjoyment than clean, precise note taking. As a result, I’ve found my preferences lean towards broader nibs. There’s no denying that this pen has seen far less use in recent years than in the past. While I love the way it looks, I can’t say I still love the way it writes. The nib work is excellent, but my tastes have changed. If it had a broad, I would 100% keep this in my collection. I’d even consider a medium. Does anyone have a black Sailor nib they’d like to trade? If not, I think this pen will leave my collection. It’s a hard decision, but I want to slim down and refine in 2017. Yes, I would say so. While I’m not in love with the nib, the pen would make a great daily driver. It’s great looking, understated, and made with the level of quality you’d expect from a mid-range Sailor pen. I wish the nib size was bigger. As time goes on, taste may change and this applies to any pen, not just the Pro Gear Imperial Black. If you’re looking to cull this pen from your collection, I would really love to have it. I’m a college student, so I’m doing the type of tidy note-taking you used this pen for originally. 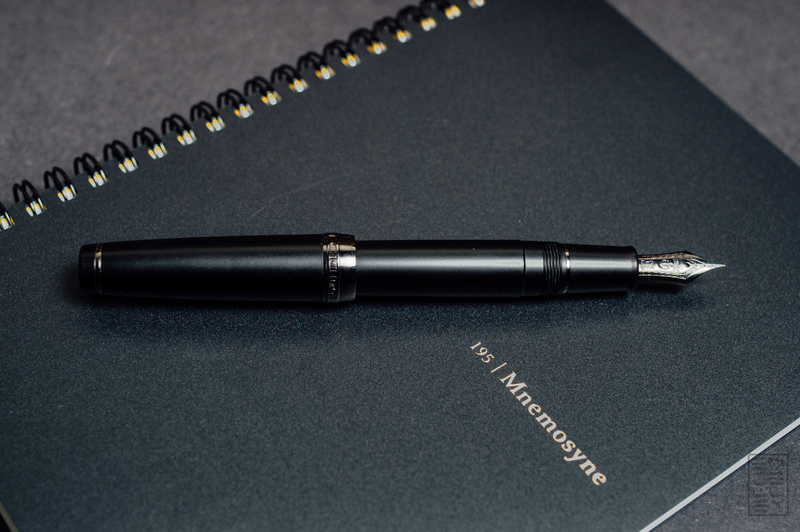 I can’t afford to buy a pen as nice as this outright, but it might feel like a nice full-circle-thing to pass to on to another student? Of course, if you find someone willing to trade nibs, by all means, take that offer though! 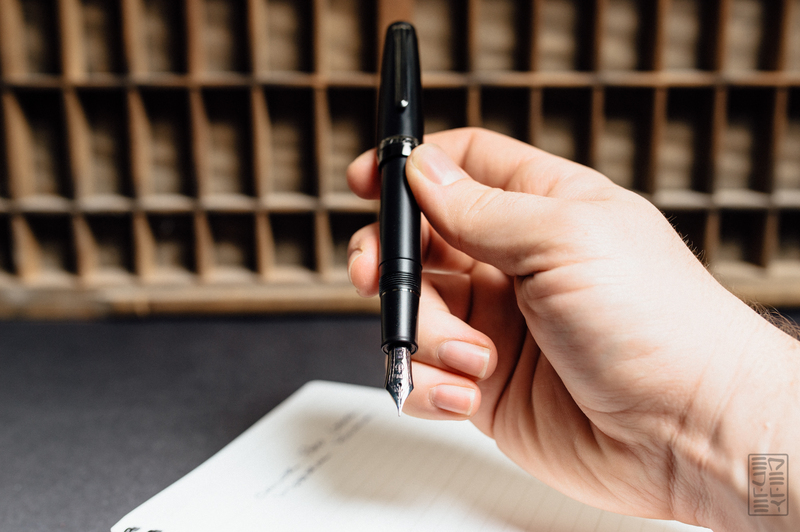 I would be very interested in buying this pen from you… I’ve been wanting a sailor for ages!  Can you please get in touch with me if you’re still looking to sell? Hello. I recently purchased the same pen and found that the medium nib was not as fine as I had expected and would have liked. I would be interestes in a nib trade. What’s the pocket knife? really cool, looks like napped flint. It’s the Kershaw Shuffle 2 – cool little knife! It looks like flint, but it’s actually a plastic resin. Not bad for under $20.